Like it is for you, and everybody else, email is a challenge for me.So I was super excited to hear about Mailbox – a new iPhone app that was supposed to make getting to “inbox zero” much easier. When I joined the waiting list to download it, there were 600,000 people in front of me. In the hour before I finally got it, there were 700,000 people waiting behind me. So, it was pretty disappointing that, after two weeks of waiting to use Mailbox, I deleted it two days after downloading it. There’s one reason why it didn’t work for me: Mailbox makes you deal with one email at a time. 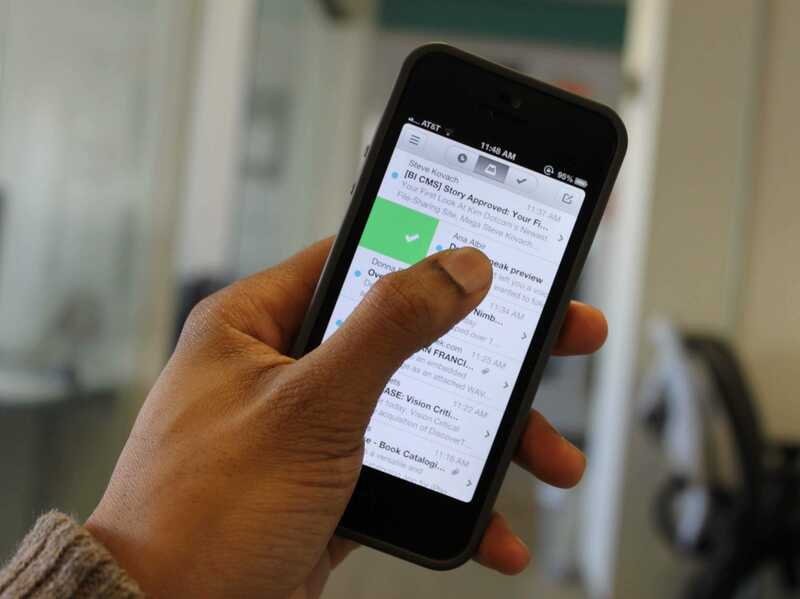 You have to open or swipe (to the left, further to the left, to the right, or further to the right) each individual email. I get several hundred emails a day. I have received 5 emails since beginning to write this post. I do not have the time, nor the energy to make hundreds of individual decisions about email every day. I believe Dr. Oz, who, during our Ignition conference last December, said that people have the capacity to make about 15 decisions per day before they start to get exhausted – and start making mistakes. When I go through my email – which I do about 3 times per day – I go into the iPhone’s default mail app, tap “Edit” on the top right, and then quickly tap every email I don’t need to ever read (most of them) and then tap the bright red “archive” button. Then I go back over the emails that remain and respond to the ones that need immediate attention. I flag the rest – emails I need to respond to, but not right away. I always get to them eventually. When I’m doing email from my desktop, it’s the same process, but even better, because in Gmail I can shift-click to select multiple emails to archive or delete at once. Besides the “edit” button on my iPhone or shift-click in Gmail, there is one more feature that saves me when it comes to email – the iPhone app’s “VIP” list. You can set it up so that emails from a select group of people set off a push alert that vibrates your phone and makes a noise. I use this function for emails from my bosses, my family, and my most important sources. Mailbox – who needs you?